Your skin is one of your most valuable assets. Take care of it today and it will look great in the future. However, we all experience signs of aging that can’t be corrected through over-the-counter treatments. That’s where professional skin care from Pennington Med Spa & Transformation Weight Loss comes in. Our treatments help with anti-aging, wrinkles, skin conditions, dark spots, and other concerns. Visit our Rock Hill, SC office today and start on your journey to healthier, more beautiful skin. HydraFacial MD™ is an innovative way to care for your skin. It exfoliates while hydrating and cleansing the skin, resulting in immediate results without irritation. It combines the results of microdermabrasion, a chemical peel, and a facial in one convenient treatment. HydraFacial MD™ is a 3-step process that takes about 30 minutes and may give you the best skin of your life! Cleanse & Peel: Uncover a new layer of skin with gentle exfoliation and relaxing resurfacing. Extract & Hydrate: Removes debris from pores with painless suction. Nourish with intense moisturizers that quench skin. Add on of Red Light, Blue Light, or Lymphatic Drainage or upgrade serums available. Chemical peels dramatically enhance and smooth the skin’s texture. By removing layers of dead or damaged skin, newer, healthier, and more youthful skin is revealed. Chemical peels are a great solution for fine lines, wrinkles, acne, dull skin, and discolorations. This exclusive formulation provides superior results for aging skin, acne, melisma, hyperpigmentation, and many other common skin concerns. It is also virtually painless with little downtime and offers an easy, consistent peeling process for all skin types and ethnicities. This procedure is a three-step clinical procedure combining dermaplaning or exfoliation, chemical peel solution, and cryogenic therapy to reduce the appearance of fine lines and wrinkles, hyperpigmentation, laxity, dullness, and skin imperfection. The latest insight to exfoliating the skin. Using a small blade, this procedure will exfoliate dead skin cells as well as vellus hair. You will also receive better penetration from your skin care products. This treatment leaves the skin glowing and smooth in texture. This Peel is formulated with an exclusive blend of clinical-grade acids and a maximized peel concentration of phenylethyl resorcinol. Advanced Corrective Peel dramatically diminishes the appearances of discoloration, while smoothing texture and refining the appearance of pores, to restore a brighter, more clarified skin tone. For optimal results, a series of 4-6 treatments every 4 weeks is recommended. This peel utilizes a proprietary blend of salicylic, glycolic, and lactic acids to provide a superior formulation appropriate for all skin types. The Radiance peel offers instant, glowing results after just one usage. A series of 4 to 6 peels provide the best overall results, but patients experience tighter, smoother, brighter-looking skin after just one use. This peel targets the appearance of uneven skin tone to improve photodamage and acne-related discoloration. Pigment Balancing Peel combines brightening agents with a peeling solution. We also offer other treatments to help you look and feel your best. Our lash and brow tinting service is a semi-permanent way to create a more dramatic look or cover up gray hairs. Our paraffin wax treatments make rough skin softer, soothe aching joints, and can even improve circulation. Remarkably effective for wrinkles, uneven skin tone, stretch marks, lax skin, large pores, and thin skin. Little to no down time involved. Microneedling stimulates your skin’s natural ability to produce new collagen and elastin for healthier, younger-looking skin. It accelerates this repair process by creating microscopic channels, which also allows products to penetrate into the deeper layers of the skin. New collagen and elastin production can reverse years of sun damage, improve acne scars and enhance the overall appearance of aging skin. The first photodynamic cosmetic cream specifically formulated to improve appearance of skin including fine lines, elasticity, skin tone, skin texture, discoloration, and pore size. A non-invasive procedure with little to no downtime. This procedure is ideal for anytime of the year. Restoring a more youthful appearance, long, lasting results. Light therapy that delivers light energy in a similar way plants absorb light energy from sun. LightStim emits UV-free, beneficial light is applied directly to the skin it helps to increase collagen and elastin production, reduce inflammation, speed healing, increase circulation, and destroys acne bacteria. This treatment uses cryotechnology to gently freeze away unwanted age spots, sun spots, and skin tags by using a precise flow of carbon dioxide (C02) which freezes the skin at a milder temperature than traditional cryogens like liquid nitrogen, resulting in a softer, shallower, more comfortable freeze, more likely to leave the surrounding skin intact. Creates Darker lashes and brows without makeup. Reduces the appearance of wrinkles without the use of surgery or needles. Using advanced radiofrequency technology, we heat the dermal layer of your skin and initiate your body’s natural process of generating new collagen. Ideal for renewal and maintenance of healthy skin. Warm Paraffin wax helps soften skin and aids in arthritic pain. No skin care regimen is complete without good products. At Pennington Med Spa & Transformation Weight Loss, we believe that medical-grade products are the best way to maintain your revitalized appearance. Hannah was born and raised in Lyman, SC where she lived until 2003. Prior to her move to Rock Hill, she lived and worked in Murrells Inlet, SC for four years. She has lived in Rock Hill since 2007. 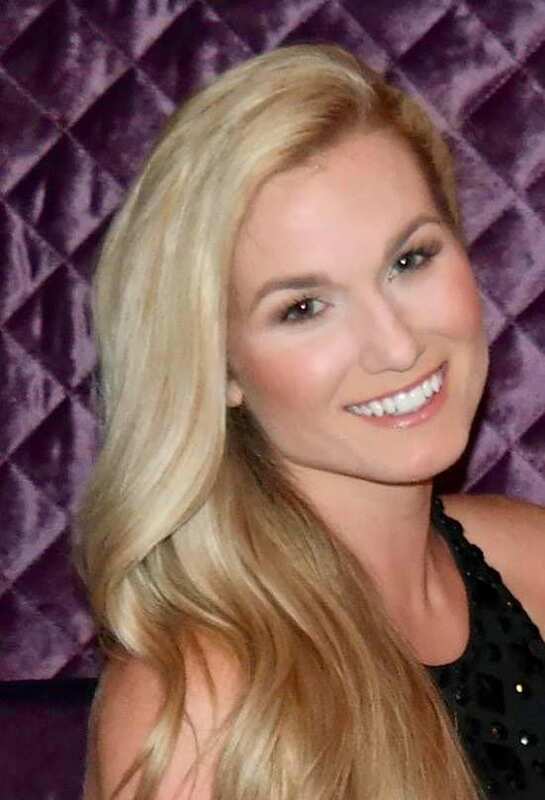 Hannah has eighteen years of experience in skin care, and is certified for all of our Chemical Peels, HydraFacialMD, Micropeels, MicroNeedling Skin Pen, Dermaplaning, Allumera, CryoCorrect Treatment, LightStim, and Facials. Hannah is also certified by Jane Iredale which is the mineral makeup line that we carry. She believes in it so much that she has been using it personally for 15 years. Hannah also has extensive knowledge in all of our skincare lines which are Skin Ceuticals, Obagi, and Revision. She also assists with all of our Laser treatments: ProFactional Laser, MicroLaser Peel, Laser Hair Removal, Tattoo Removal, Vascular Laser, or Pigmented Lesion Laser. See our Laser Page for details. The relationship that she develops with each client is very important to her. She takes the time to listen and work with each client to recommend a skin care plan tailored specifically to their needs. Her friendly, down-to-earth nature has helped her develop a loyal and happy client base. Helping people feel better about themselves and comfortable in their own skin is her number one priority! Hannah’s time away from work is always spent with her family. 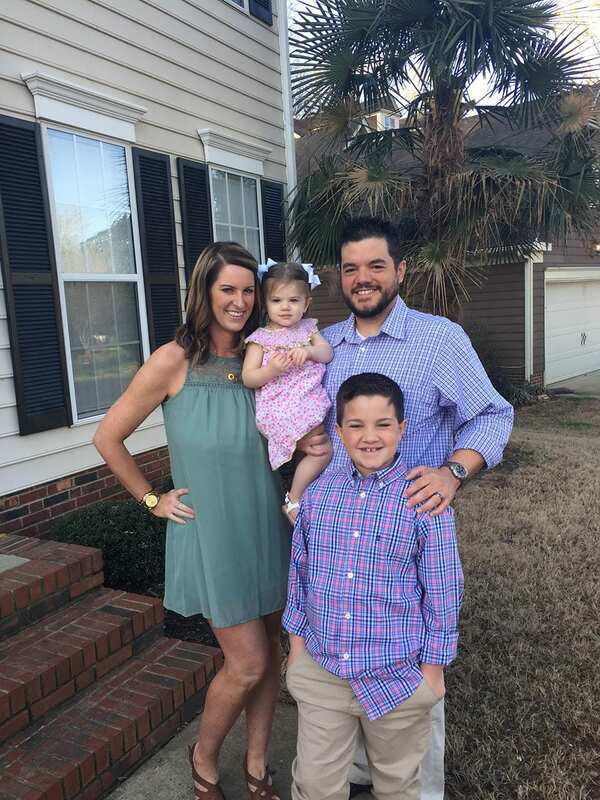 She and her husband, Sam, have two beautiful children – Caleb and Brylea. Caleb keeps them very busy with baseball, soccer and other extra-curricular activities. In addition to spending time with family, she loves going to the beach, cooking out with friends, having a fire in the fire pit, going shopping, decorating, and snuggling on the couch with her babies and watching movies. Jessica L Miller is a Licensed Esthetics Instructor, with 10 plus years in the beauty and customer service industry! Jessica is recently married and that has brought her closer to the Rock Hill area. She is excited to bring PPC her expertise and knowledge on medical Modalities such as Dermaplaning, medical grade chemical peels, ablative and non-ablative lasers, microblading, and microneedling. She is passionate about offering her best to reach the patient’s goal in mind. She is excited to work with you and expand your confidence from the inside out! Jessica will be available in-office on Thursdays 9am-4pm, you can also reach her at [email protected] with any questions you may have with the new aesthetics services we will offer! We represent a number of the best lines in the industry. Jane Iredale is “good for you” makeup infused with revolutionary pharmaceutical-grade antioxidants and vitamins to improve, nourish, and protect your skin. SkinCeuticals is a proven anti-aging line that uses vitamin C and other vital ingredients to treat wrinkles, fine lines, and discoloration while also offering remarkable environmental protection. Obagi is one of the world’s leading lines of medical-grade skin care products. From anti-aging to moisturizing, there’s an Obagi regimen that will transform your skin. Revision skin care products use scientific research to reduce the typical signs of aging and to create a younger overall appearance.